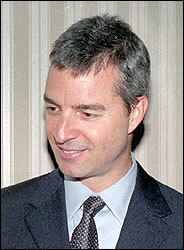 We recently detailed that Dan Loeb's hedge fund Third Point went activist on Yahoo! (YHOO). In their activist 13D filing with the SEC, Loeb also attached a scathing letter to Yahoo, something he has become known for. Thank you for taking the time to speak with us by telephone on Monday. We are only sorry that we were not able to finish our conversation as a result of Mr. Bostock’s abrupt unilateral termination of the call. Mr. Bostock’s failure on the call to acknowledge his pivotal role in, and accept responsibility for, the decline of Yahoo! makes clear that he does not intend to voluntarily follow his recently terminated hand-picked executive, Ms. Bartz, out the door. It is our strongly held belief that not only has Mr. Bostock been a destroyer of value, but also so long as he serves as Chairman of the Board, the Company will not be able to attract the talent it needs and deserves, particularly at the CEO level. This opinion is based not only on our prematurely truncated conversation, but on numerous discussions with Silicon Valley cognoscenti and other people familiar with both Mr. Bostock and the Company. As a Founder and major shareholder of the Company, the abysmal record of the current leadership must be heart-rending to you personally, as well as damaging to your net worth. We urge you to do the right thing for all Yahoo shareholders and push for desperately-needed leadership change. We are prepared to support you and present you with suggestions on candidates who could help bring Yahoo back to its rightful place among the world’s top digital media and technology companies. Be sure to check out Loeb's original letter to Yahoo which outlines his investment thesis on the company. Also, head to Third Point's latest exposure levels.